Nowadays, lots of people say data is the new gold. Grab your own "new gold" then with the help of VR Analytics that come with the platform. The data will tell you everything you need to know about your content usage. Not less. We provide all the data beneficial for your output channels and content optimization. The shining star among all those stats is most certainly the heatmap that is generated automatically for every content element when played in any of the available channels. On the heatmap you can see exactly where people were looking when viewing the content. Is your sales and marketing content produced in a way that potential clients look at the spots of highest importance? If you provide training to your employees, does the content lead to the right messages or should you improve the training focus? As a marketing agency, this can even replace the manual tools and questionnaires typically used in a focus group. Learn more about this use case here. 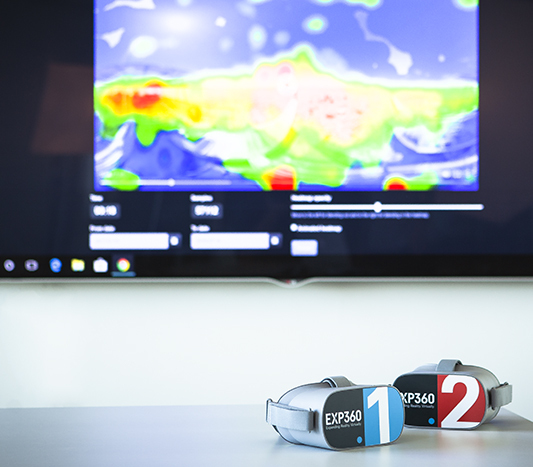 If you have a VR web integration, you will be able to monitor the click increase that the website usually develops after implementing 360 content. Same applies for the VR Quick Share tool. No need to mention, of course, that the heat maps come with it too. 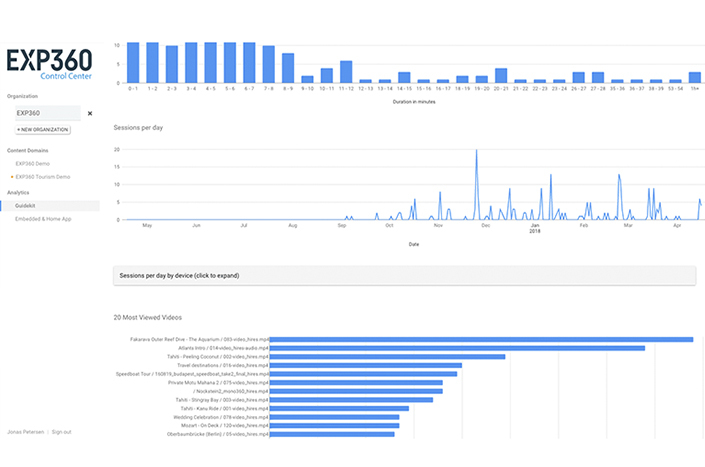 If you want to have a hit list of what content has been viewed on your Guide Kit or Explorer Kit or what the peak times of the hardware usage was, simply ask your VR analytics. There are lots more useful statistics to be found in our VR Analytics, but we rather ought to stop listing everything. You might get a little overwhelmed, sorry for that.